The fifteen steps “that correspond to the fifteen Songs of Ascents in the Book of Psalms” seem out of place? Besides, here the priests descended those Steps of Ascents! Rav Chisda asked “a certain rabbi” why King David composed these fifteen Songs of Ascents to begin with. The rabbi replied that when King David had begun the excavations for the place of the Temple’s altar, the waters of the subterranean deep rushed upwards and threatened to engulf the planet. David thereupon composed fifteen Songs of Ascents, and the depths safely subsided. If so, Rav Chisda immediately protested, why not call them the Songs of Descent, to reflect on the subsiding waters, instead of Songs of Ascents! Replied the anonymous rabbi, this is what occurred: When the deep surged upwards, King David thought to inscribe the name of God on a piece of earthenware and cast it into the waters. His teacher, Achitofel, ruled that it would be permissible to do so based on the following reasoning: if, for the sake of harmony between a husband and his wife, God commands us to erase His name by placing the written parchment into a container of water and giving it to the woman to drink, then it is certainly permissible for King David to cast the divine name into the surging waters to bring peace to the entire world! King David immediately cast the name into the waters, which then subsided sixteen levels. King David realized that the earth’s irrigational needs would henceforth be lacking, and therefore voiced fifteen Songs of Ascents that brought the waters back up to a safe and useful level. In his commentary on the Talmud, Maharsha adds that the particular divine name that King David wrote was Yud-Hei, which bears the numerical value of fifteen. 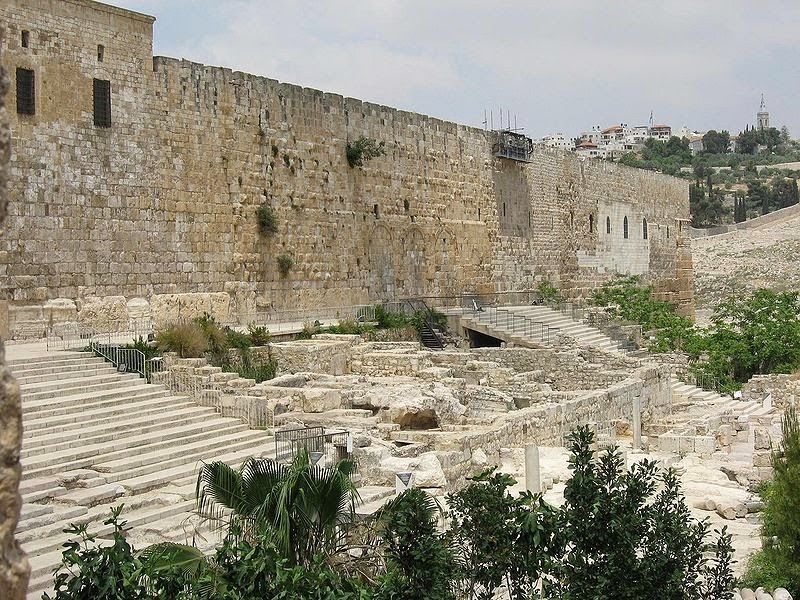 The two priests who descended these steps on the way to draw the water on Sukkot specifically paused on the tenth step, to indicate that the fifteen steps are divided into two parts, ten and five, to correspond to the yud (ten) and hei (five) respectively. Maharal quotes the verse from Isaiah 26:4, “For in God (Yud-Hei) is the strength of the worlds.” Our sages stated that all creation comes into being via these two divine “letters,” yud and hei. These divine letters are likewise comprised of “form” that comes from the yud, and “matter” that comes from the hei. That makes all material substance - the recipient, and all spiritual existence - the source of bestowal. This, then, is the secret behind the fifteen Songs of Ascents corresponding to the steps in the Temple that led a person upwards from the more material, therefore “feminine” women’s courtyard, to the more spiritual, therefore “masculine” aspect, the Israelites’ courtyard. Israel left the clutches of Mitzrayim (Egypt) journeying to the depths of Yam Suf (Red or Reed Sea) where they cast their souls, comprising God's name, into the lower waters and from where they made their Ascent as a nation. Each year we renew the ascendant with 15 steps of the Pesach seder pausing after the tenth to ingest the festive meal then we continue with five more steps before we continue the week radiating our chametz free internal state. Six months later we arrive at the descendant 15 steps of Sukkot and we move toward the feminine waters where we take the Lulav and continue the week in the surrounding external transcendence of the Sukkah. Finally we have arrived at the year 5775, the millennial hour considered ‘mincha gedola’ the time of transition, at the doorstep of Moshiach. 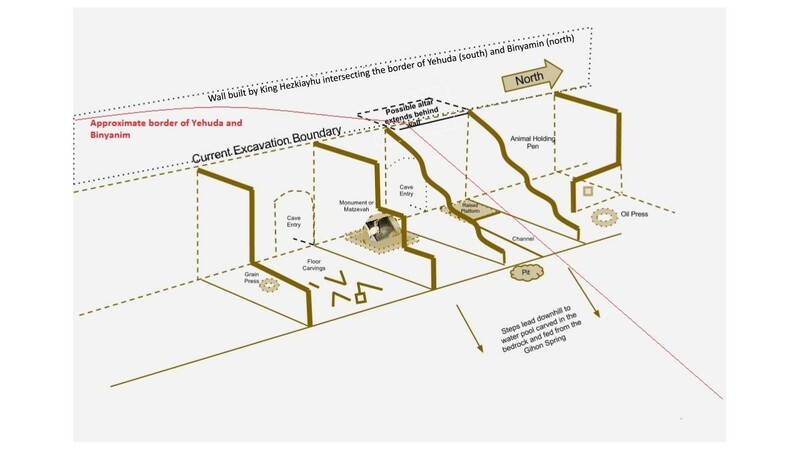 From the Pesach seder we derive the compliment of Sukkot’s 15 holy steps. With it, perhaps we will finally realize our mission so we will not need to utter the Seder's concluding words "next year in Jerusalem" ever again! Once the remnant of Yerovam’s confusion is removed we can focus on essential issues. 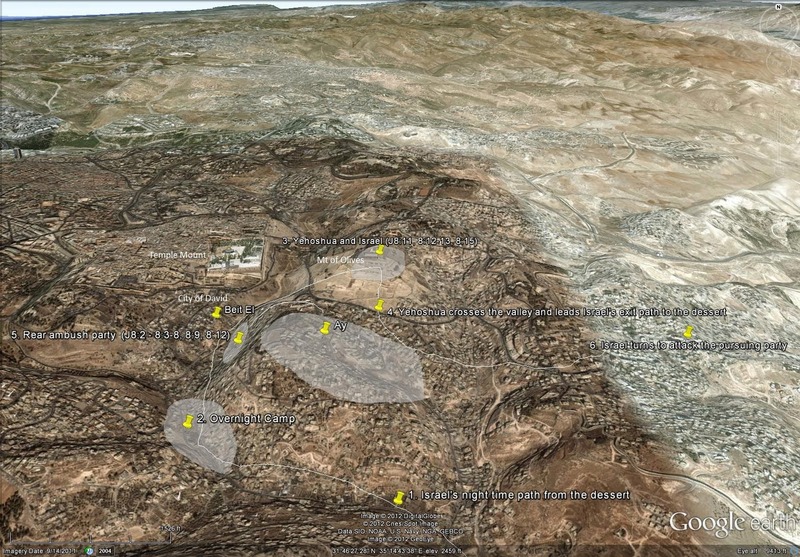 These include; the geophysical flow of aquifer water from the high valley of Hevron (Hebron) to the low point of Yam Ha Melach (Dead Sea) via the ridge that terminates at Har (Mount) Moriah and the E’ven Ha Shtiya (Foundation Stone) under which the aquifer flows north, u-turns then flows east. [see the Geotechnical-Hydrogeological survey http://www.gsi.gov.il/Eng/_Uploads/163Geotechnical-Hydrogeological-Concern.pdf]. 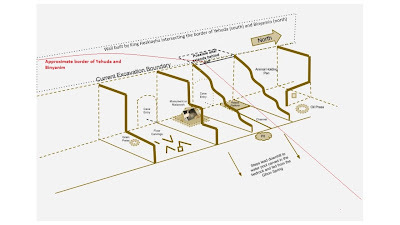 Now we can review the archaeological site above (west of) the Gihon and the area of Salem, the characteristics of which are highly unusual and detailed in the image below. The most notable of these features is the matzevah (monument or pillar), which has miraculously survived more than 3500 years and is yet to be officially announced. 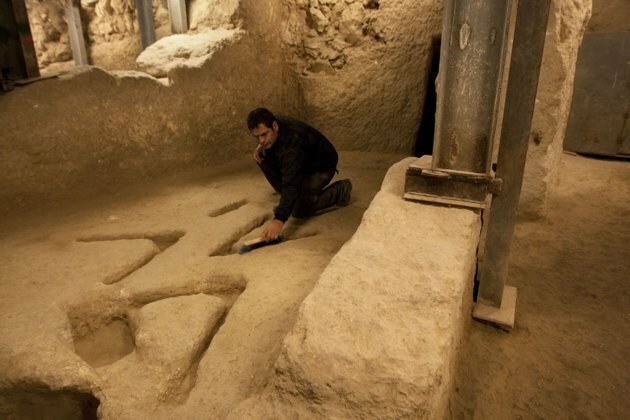 I challenge you or anyone else to find a similar object in any site in Israel – such a perfectly preserved item built onto bedrock and still standing does not exist. 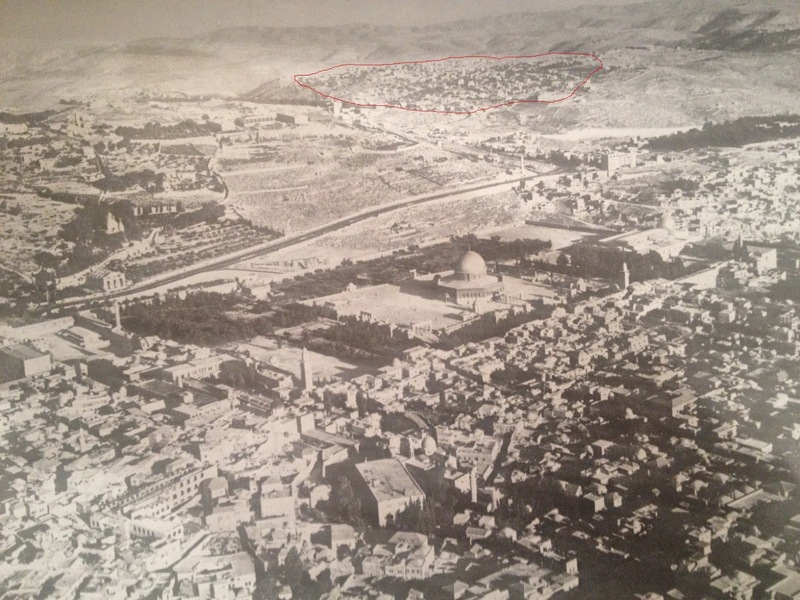 My theory, which is described broadly here http://www.scribd.com/doc/120128721/Jerusalem-s-Origin explains this is the site of the matzevah Yaakov anointed (Bereishit 35:14-15). There are many midrashic references to this site including the source of the stones Yaakov used for the matzevah – the mizbeach of Akeida Yitzchak and these can be discovered in the more detailed paper here http://www.scribd.com/doc/76553825/The-Stone-the-Builders-Rejected. 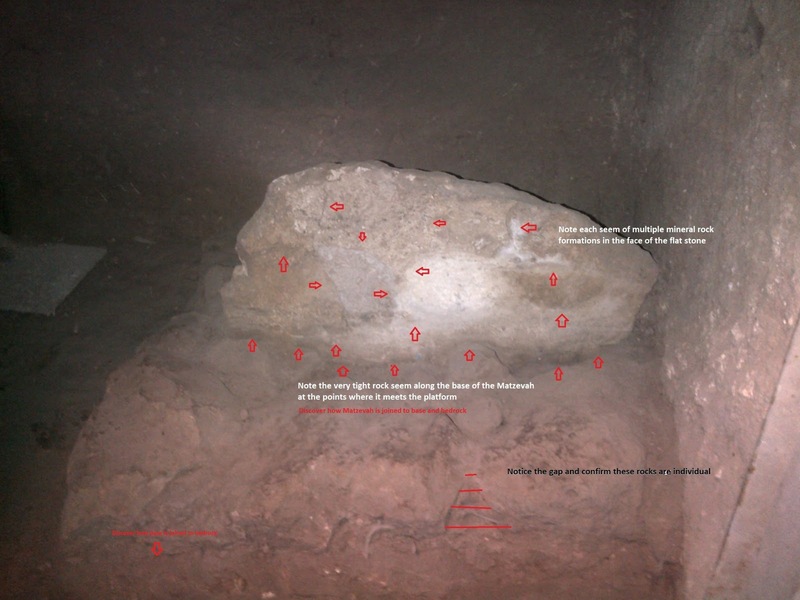 Armed with this information we can progress to the decision David Ha’Melech (King David) made to locate the temple mizbeach (altar), that became the site for the first and second temples on the top of the hill (around the Dome of the Rock). Here you can read about the process he endured to navigate Jewish law and make that very difficult decision - http://israelfact.blogspot.com.au/2012/05/sword-over-jerusalem-sources-from.html. 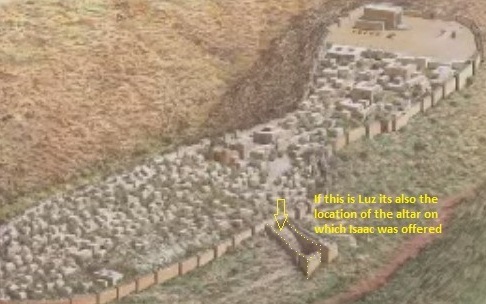 Whilst I don’t fully expose my view in this paper, I believe he prophesied about the final temple at the end of days and as a result made a conscious, albeit very difficult decision, to obfuscate the site of Akeida Yitzchak (the altar site) from nations of the future to protect the true site, which he knew about.